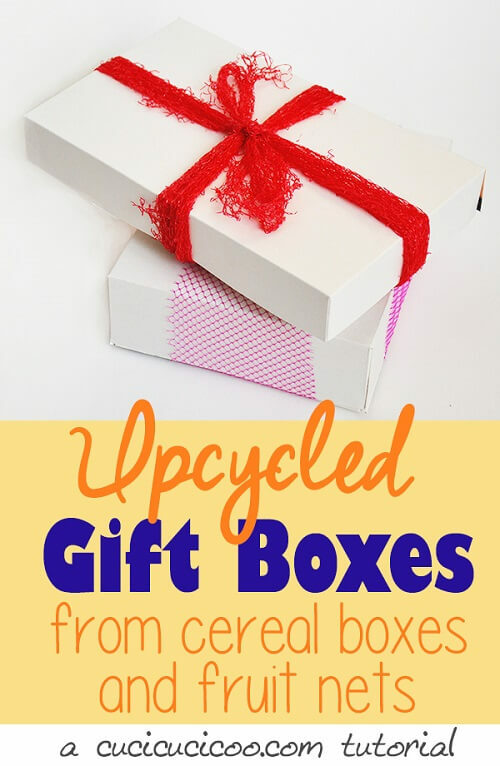 Don’t spend money on wasteful gift boxes when you can make them yourself from free upcycled materials! Just grab a cereal box and some plastic produce nets to make a unique and eco-friendly gift box! These boxes are totally unique and totally free! And gift recipients are always surprised to see the cereal box graphics on the inside! If you like this project, browse our other DIY’S <====== click this link! I hope you will enjoy using this tutorial and would like to invite you to subscribe to my posts.